Don’t Take Our Word for It…Here Is What Our Happy Customers Have to Say! 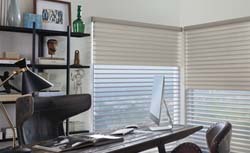 We work with both residential and commercial clients on projects ranging from basic blinds, draperies, top treatments and reupholstery to full home automation with motorized blinds and shades. “Sarah, I am delighted with the results of my entire room reupholstery job. What brought me back to Classic Interiors after having had a sofa reupholstered three may years ago was I remembered how impressed I had been with the customer service. I’m so happy to let you know, even after all these years, the customer service is still fabulous. Thank you all for as perfect an experience as I could have hoped for.” — Bonnie B. “We were worried about putting blinds or shades in our daughter’s room because the cords might be a hazard. 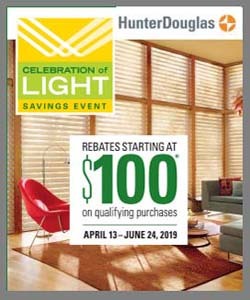 Then we found out about Hunter Douglas Duette® honeycomb shades with the LiteRise® cordless lifting system. We love the look and the light control, and there are no cords that our daughter could get tangled in.” — Liz M.
“We couldn’t enjoy our family room in the winter because so much cold air came in through the windows and, we noticed our winter energy bills seemed really high. Once we installed our Hunter Douglas Duette® Architella® honeycomb shades, we had a significant drop in our energy bill, and we love how warm and inviting the room looks!” — Dave S.
“Our Hunter Douglas Silhouette® window shadings are beautiful and they’ve helped us control light and get privacy when we need it. The translucent material is so sophisticated, and when the shadings are open, the fabric softly filters the sun and provides a warm glow into the room. 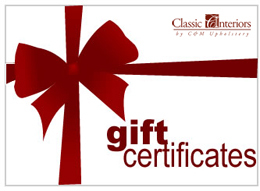 We love them!” — Angela K.
Classic Interiors looks forward to working with you on your next home decor project. Contact us today or visit our beautiful showroom in Clifton Park, NY. 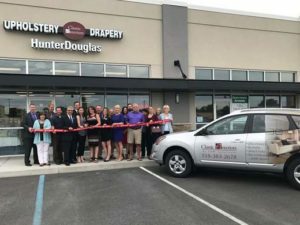 We provide in-home appointments in Saratoga, Albany, Schenectady, Rensselaer, and Warren Counties, including Clifton Park, Mechanicville, Halfmoon, Saratoga Springs, Lake George, Bolton Landing, Loudonville, and Latham, NY, and surrounding areas.